Finally free of her suffocating marriage, widow Daisy Ellis Craigmore is ready to embrace the pleasures of life that have long been denied her. Yet her new-found freedom is short lived. A string of unexplained murders has brought danger to Daisy's door, forcing her to turn to the most unlikely of saviours . . . 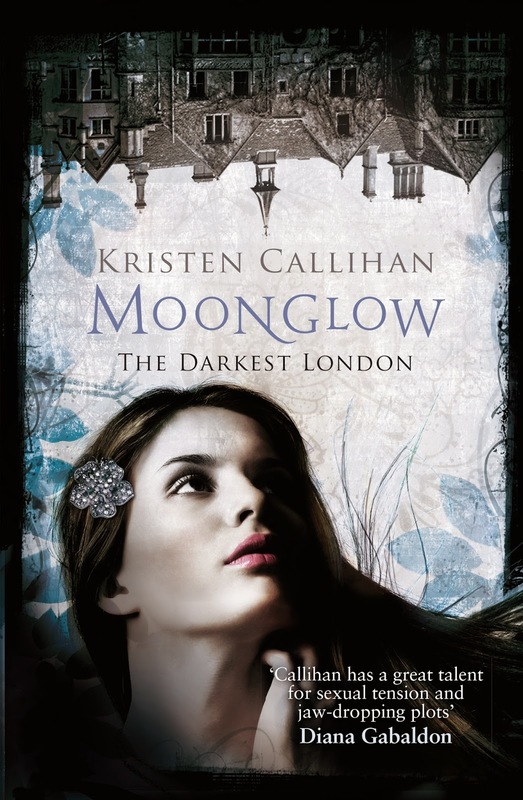 I absolutely loved Kirsten Callihan's debut novel Firelight so have been looking forward to reading the second book in the series Moonglow ever since. Firelight was a re-telling of Beauty and the Beast but I didn't notice any similarities with Moonglow so I don't think this is a re-telling of another fairytale. In the previous book we got to know Miranda and Archer but this instalment is Miranda's sister Daisy's story. 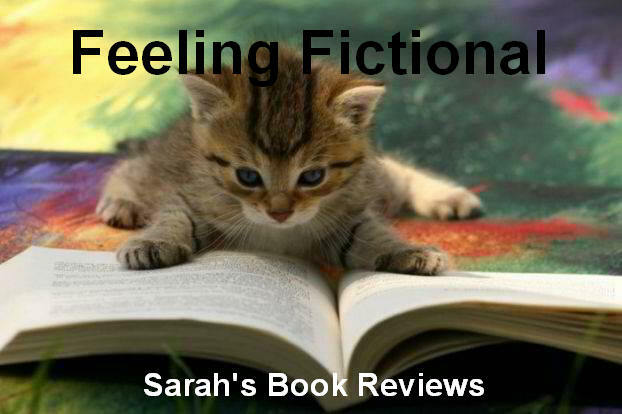 After the death of her husband Daisy is finally free of his control and looking forward to making a life for herself. She may be the subject of gossip amongst London society but she is determined to do what she wants and find some happiness. Ian is a werewolf who has lived away from his pack for a long time, he didn't want the responsibility of becoming alpha after the death of his father and chose to leave and let his brother take control. When Daisy witnesses a horrific werewolf attack Ian saves her life but he realises that she is still in danger and will need his protection. The pack should deal with the rogue werewolf but since they refuse to take action it is up to Ian to try and stop them before more innocent people are hurt. I really enjoyed the banter between Ian and Daisy, they had great chemistry but it was the way they bickered and sparked off of each other that really had me hooked. I wasn't sure if I would like Ian much since all we'd seen of him before was him trying to split up Miranda and Archer but it didn't take me long to fall under his spell. As you find out more about his past and the loss of those he loved it is easy to see how he ended up feeling bitter towards Archer as he found happiness. It was good to see him come to terms with his past but also start to face the future and learn to love again. I'd really liked all three sisters in the first book so I knew I would like Daisy and it was good to see her make her way now that she no longer had her husband around to cause trouble. We already know that Miranda has the ability to control fire but I enjoyed finding out about Daisy's powers and I liked the way these powers were explained. I'm now really looking forward to learning more in Poppy's book Winterblaze. It will be interesting to see how things play out between Poppy and her husband since they are already married but going through some problems. 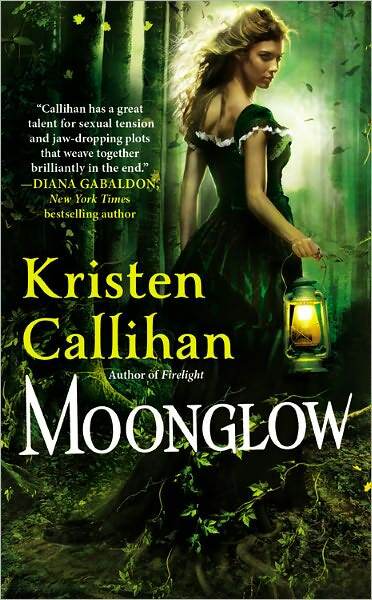 Moonglow was just as atmospheric as Firelight and I really enjoy Kristen Callihan's writing style. 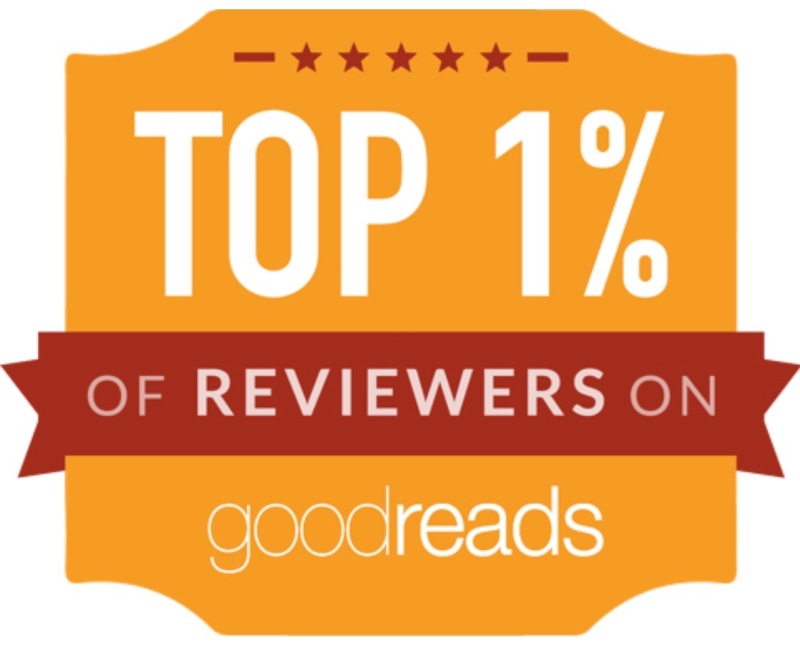 I love the mixture of a dark and Gothic Victorian London along with paranormal creatures and am looking forward to continuing the series - I will be pre-ordering my copy of Winterblaze as soon as it is available on Amazon!